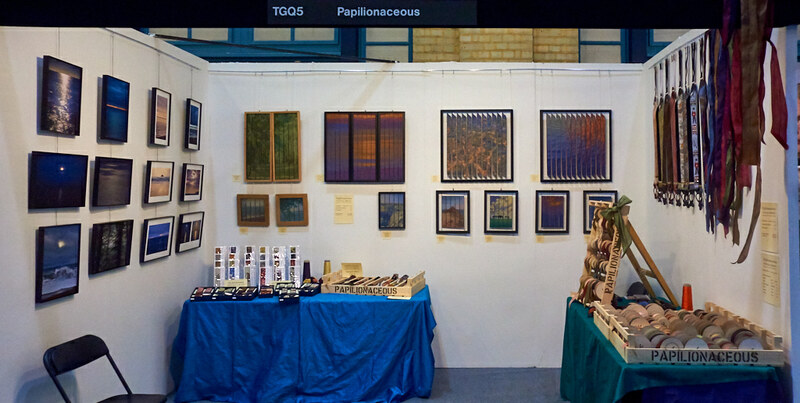 Knitting and Stitching Show, October 2018, Alexandra Palace, London. NEW! Exclusive Papilionaceous silk braces now available in the shop. Papilionaceous Limited was established in London in 1996 to design and manufacture top quality jacquard woven silk ribbon trimmings. Now located in Dartmouth, Devon and best known for our silk bookmarks, braces and costume ribbons.